Since planting our first crop of oysters on Cape May’s rolling tidal flats in 1997, we’ve remained dedicated to producing a wholesome, sustainably cultivated premium oyster that showcases the beauty of Delaware Bay. Our obsession with quality, and respect for our marine ecosystem lie at the heart of everything we do. Constantly learning from Mother Nature and incorporating innovative shellfish growing techniques, we operate two oyster farms in New Jersey’s Delaware Bay. Ask for our oysters by name at your favorite oyster bar, or give us a call and have them shipped directly to your door. 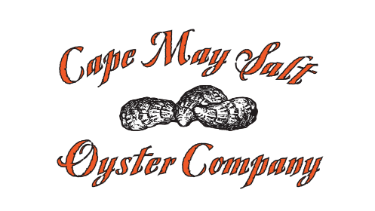 To order oysters, fill out the contact form below! Our oysters are proudly grown right here in the Garden State, beginning with locally sourced seed. We harvest DAILY to ensure that our oysters reach your plate at their peak. Our oyster farmers fear no weather, and brave the elements to bring our oysters to you 365 days a year. I love these oysters. Plump, juicy, nice deep cup full of flavor. I started seeing them in oyster bars around Philadelphia a few years ago and I'm consistently impressed with their quality. Keep up the great work. Delicious. Great brine flavor. Plump and tender. Picked up 2 dozen at The Lobster House market and polished them off in no time flat. Our Thanksgiving order arrived Tuesday and of course we had to sample some for "quality control." O bliss...they are wonderful. We ordered 200 for about 40 adults. Wondering if there will be any leftovers this year for oyster stew. Thanks, Brian!